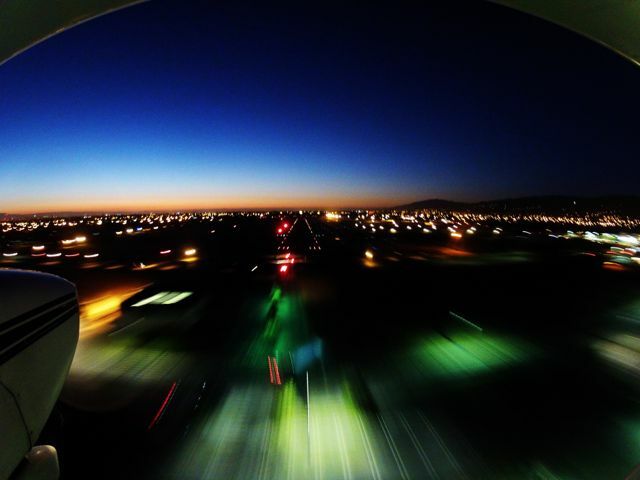 New cross country destination from either Reid Hillview or Salinas Airports! A new restaurant opened at the Paso Robles Airport this week. LaGuardia’s Italian Deli is open for breakfast and lunch Monday through Friday, and also Saturday and Sunday for brunch. 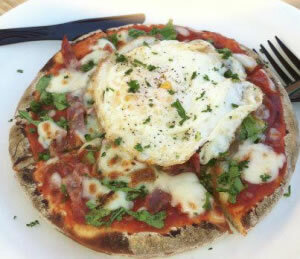 Owner Lou LaGuardia is serving gourmet style Italian sandwiches like ”Nicky’s” French toast panini – scrambled eggs, thick cut bacon on Italian bread with a honey walnut blackberry chutney, “Marie’s” housemade meatball sub with melted mozzarella on a rustic roll, and a breakfast pizza of salami or prosciutto, fried egg, mozzarella cheese, arugula, and homemade marinara sauce. The new restaurant is located in the airport terminal at 4900 Wing Way, Paso Robles. (805) 227-7168. It’s open not just Monday through Friday 6:30 a.m. to 2:30 p.m. but also Saturday and Sunday from 11 a.m. to 5 p.m. Walk-ins are welcome. A warm welcome to Michael Fleming, who started his Private Pilot training here at AeroDynamic Aviation under the guidance of CFI Godfrey Watson! Congratulations to Casey Hill who came all the way from Alaska to get his Instrument Rating with CFI Erik Schmidt and DPE Jim Currier. Casey will now be heading back to Alaska to work on his Commercial ticket in a C185 with retractable gear (Skis!). He’ll also be flying as a C130 loadmaster with the Alaska ANG. Good job Casey! Another fledgling leaves the nest! 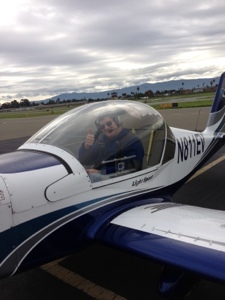 Congratulations to Mike Krueger who flew SportStar 811EV on his own for the first time. Well done to Mike and his Instructor Daniel Most. Congratulations to our newest private pilot, Andrew Snyder, who passed his private checkride with Examiner Jim Currier. Well done Andrew and CFI Godfrey Watson! Congratulations to Nick Civetz, who completed his tailwheel endorsement in our Savage Cub N800NA with instructors Jim Grant, Mark Guerrero, and Zdravko Podolski. Great job Nick! Congratulations to Alexey Gavrilov who soloed Cessna 61637. Well done Alexey and his CFI Sergey Sinyachkin! !